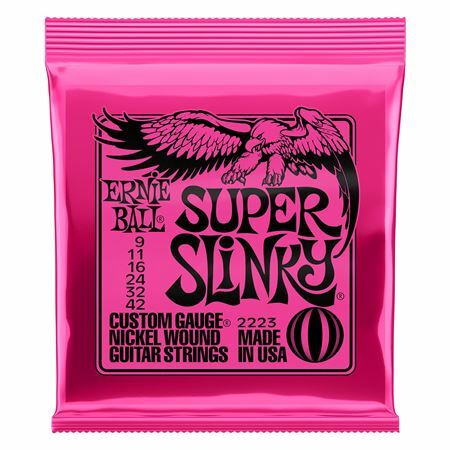 Shop Ernie Ball Slinky Guitar Strings from AMS and enjoy Fast & Free Shipping. The Top Selling Guitar String, Ernie Ball Slinky Electric Strings offer the highest standards through precision manufacturing to achieve a world-class tone Widely revered for consistency by ensuring exacting specifications, optimum performance, and long life, Ernie Ball Slinkys are wound with nickel plated steel wire around a hex shaped steel core. Specially tempered tin plated high carbon steel, Slinkys offer the most well balanced tone for an all-around great sound. 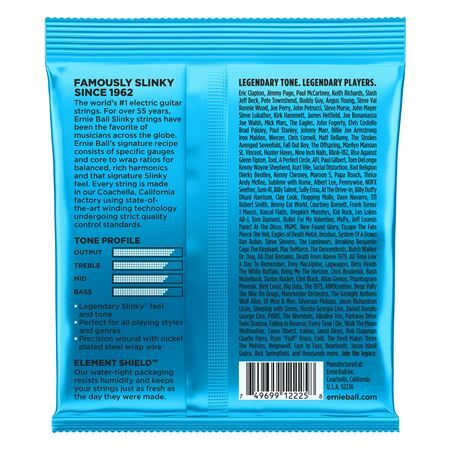 I’ve been using Ernie’s over 20 years now, and they’re the best electric guitar strings out there. Very affordable and just a great sounding and great playing string. Great and very affordable strings, I’ve used them for years, and after trying every fancy brand out there, I’ll just stick to the pros!!!! San Luis Obispo, the land of the Ball!!!! Super Slinky, as good as ever. Used Ernie Ball light gauge strings back in the 60s - 70s. Back to them again. They are slinky, sound great and are a great value. I’ve been using Ernie Balls for 10 years. 10’s are my preferred string size. Great price, free shipping,win win!!! Been playing guitar for45 years. Started playing Ernie ball strings about 20 years ago. Strings are of excellent quality. If you take time to properly installed and stretch the strings the give great playability and stable tuning. Keep them clean and they will give you great service. Excellent product. Worth every nickel I spend, every time! These are the best strings on the market for the electric guitar in my opinion. These strings undergo a beating on the fretboard and still sound great!